While working with Landscape Architecture Bureau (LAB) Robert managed the advancement of the original concept from Nelson Byrd Woltz Landscape Architects through to construction documents for the amenity spaces for the 500 unit Channel Apartments. 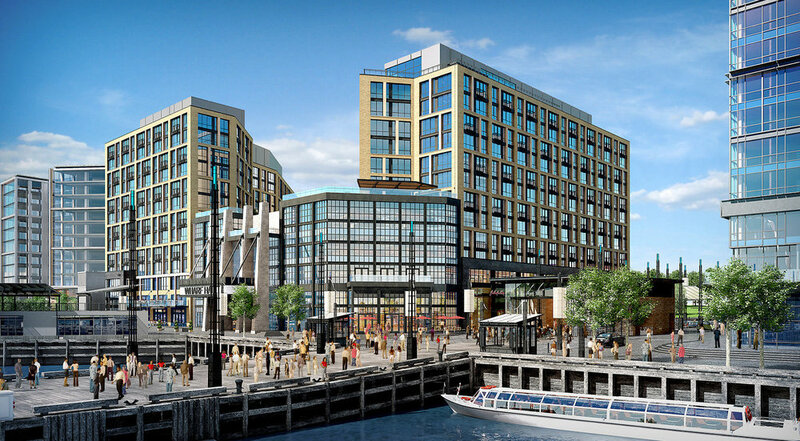 The Channel apartments are on top of the Wharf Hall, which is a music venue with a capacity of 6,000 people. Changes in the program and challenges associated with working on the roof of the performance hall required unique solutions. The first image shows the original concept with a sand volleyball court and a different location for the pool. LAB had to work with the Architect to address changing to a set of bocce courts and a revised pool location as shown in the second image. Unique to the project was addressing the smoke evacuation shafts that penetrated into the space from below. LAB worked on how best to make these items blend in with the overall design. This was accomplished by wrapping the concrete walls with wood and creating a intimate gathering space between the shafts with an overhead pergola. Our client also wanted to provide tenants with the opportunity to have outdoor garden plots. 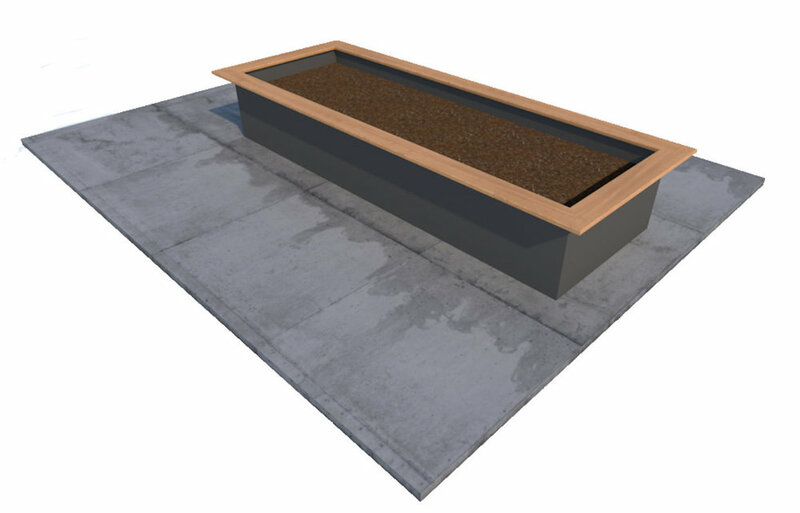 Working with the team of owners and contractors we developed a custom metal prefabricated planter box.